Norway: Too early to say if this can be done at Storskog checkpoint to Russia. The European Commission puts forward a proposal to reform the visa policy making it easier for legitimate travellers to enter Europe. When approved, the visa reform will make everyday travel into Europe for business, trade and tourism less bureaucratic and time-consuming. For migrants, asylum-seekers and criminals, the new set of rules will make it harder to enter Schengen-Europe. Important changes in the proposal include visa-processing time reduced from 15 to 10 days, longer validity for multi entry visas up to five years, increased visa fee from €60 to €80 and to allow issuing single-entry visas directly at the border for a maximum stay of 7 days. Visas issued at the border will then only be valid for the country of entry. For Norway, not being a EU-member, but a member country to the Schengen-agreement, most visa rules are copy-pasted to national regulations. 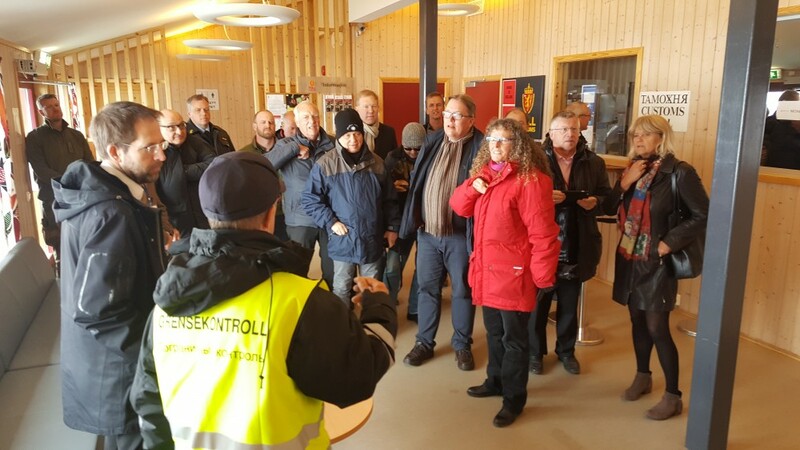 Senior Communication Advisor Linda Hafstad with the Ministry of Justice and Public Security says to the Barents Observer can’t tell whether visas to Norway could be issued directly at Storskog for travellers entering Norway from Russia in the north. “It is too early for the Ministry to comment on the proposal from the European Commission now,” Linda Hafstad says. Storskog is the only external land border checkpoint for Schengen in Norway. The European Commission says in a press-release the new visa reform will contribute to people to people contacts and cultural exchanges, as well as contributing to EU’s economy and growth. Commissioner for Migration, Home Affairs and Citizenship, Dimitris Avramopoulos says millions of travellers visit the EU every year and boost the Union’s travel and tourism industry. “With the reforms we propose today it will become easier and faster for legitimate travellers to obtain a visa while security standards will be enhanced to better detect and stop those who are not. The new rules will also make sure our common visa policy can help improve our cooperatio,” Avramopoilos says. Today, travellers from northern regions can apply for Norwegian Schengen visa at visa centres in Murmansk, Arkhangelsk and Petrozavodsk. Additionally, VFS.Global can assist applicants with visas to Norway from 21 other cities in Russia. Before the end of 2018, the Commission will launch a feasibility study and initiate a discussion with the European Parliament and Member States on how the visa application process can be fully digitalised.